Click thru to see the rest of the instructions. Succulent Cake by Iven Kawi. Doris made Cactus Cookies for her holiday party. Delicious! And just in time for the holiday. The one that is coming up this week, not the one coming up next month. Although it is in time for that holiday too. I have a large pricklypear cactus growing outside my back door. Most years… it produces large numbers of dark pruple-red fruits. I make these into either jelly or syrup, depending on whether it sets or not. This year, I turned my less bountiful harvest into a variation on cranberry sauce–the jellied kind…. Click through for the full instructions. And who is this Tom and why should we follow his recipe? He’s Tom Fitzmorris of WWL AM870, a talk radio fixture in the Gulf South Region with a food show. On the radio! I trust him. I really do. Orange County has a lot of prickly pear cactus growing, so the local newspaper, the OC Register, recommends you eat your share of the delicious green vegetable. Not only do they say it’s delicious, but it’s rich in anti-oxidants too. So it must be good! Strips of grilled cactus leaves taste delicious combined with pepper jack cheese on an open-faced sandwich. You won’t be able to read the whole article unless you are a OC Register subscriber, which I am not. So I haven’t been able to verify that there recipes are worth the effort. But the picture looks good. Make sure that everyone is equally thankful in your family…. It isn’t every day you discover an entirely new ingredient, something you had no idea existed let alone tasted this good. But that’s exactly what happened to us, the NBC Latino crew, while we attended the Culinary Institute of America’s Latin Flavor, American Kitchens conference last week in San Antonio. It happened when we stepped into the kitchen with Roberto Santibañez, the chef-owner of New York’s Fonda restaurants (in Brooklyn and Manhattan) and author of “Truly Mexican” and the soon-to-be released “Tacos, Tortas and Tamales.” First, he taught us to call the ingredient by its name: xoconostle. (Pronounced: choko-nose-leh.) 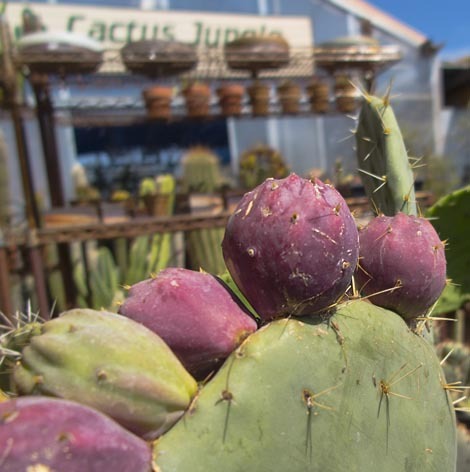 It is, he went on, the fruit of the cactus plant and similar to a prickly pear, which in recent years has grown in popularity, its sweet flesh often used to flavor margaritas. But the xoconostle is sour and tart instead and typically used to make salsas in Mexico. Simple! Click through for the instructions. And now, for your fun and kicks, the xoconostle is the fruit from the Opuntia joconostle. It looks similar to tunas, but it tastes different, and most importantly the seeds are all grouped in the center rather than spread throughout the flesh. Today we seem to have a breakfasty like recipe, featuring suasages and eggs and cactus too. This is the link to the recipe, but the site seems to be down right now, so maybe you can click it later and see if it’s back up and working. Boy, this is some lazy blogging from your lazy cactus blogger. For instance, did you know you can make up things and then go looking on the internets and find out that the thing you made up actually exists? La Mexicana Cactus Peeler (Pelador de Nopales) makes it easier for you to peel cactus for your nopalitos! La Mexicana products are made with full analysis of designs and compatability to serve you with comfort in your cooking lifestyle. As per usual, click through the recipe link to see the instructions that go along with it. So now we’ve hit the true test of our ability to run a retail plant nursery. We are now making our own cactus products. Or product – in this case soap. Cactus Soap! That’s Olive Oil soap – no glycerin or other fillers – from locally sourced organic certified olives. Plus real prickly pear fruit, and three different scents: Peppermint with Mint Leaves; Grapefruit, Lemongrass with Oatmeal; and Clove and Apricot Kernel, in a thick 5.3oz bar. See the thing is, there are lots of fancy glycerin soaps out there, but it’s tough to find a top quality pure soap, hand or facial. So we made it ourselves. Now someone else can post on their blog all about the silly cactus soap they found at the Cactus Jungle. Hah! (For reference, see my now-ironic posts about cactus soap and cactus costume (on a hedgehog!) and Cactus Glasses and Cactus Candy). It’s not cactus flavored. 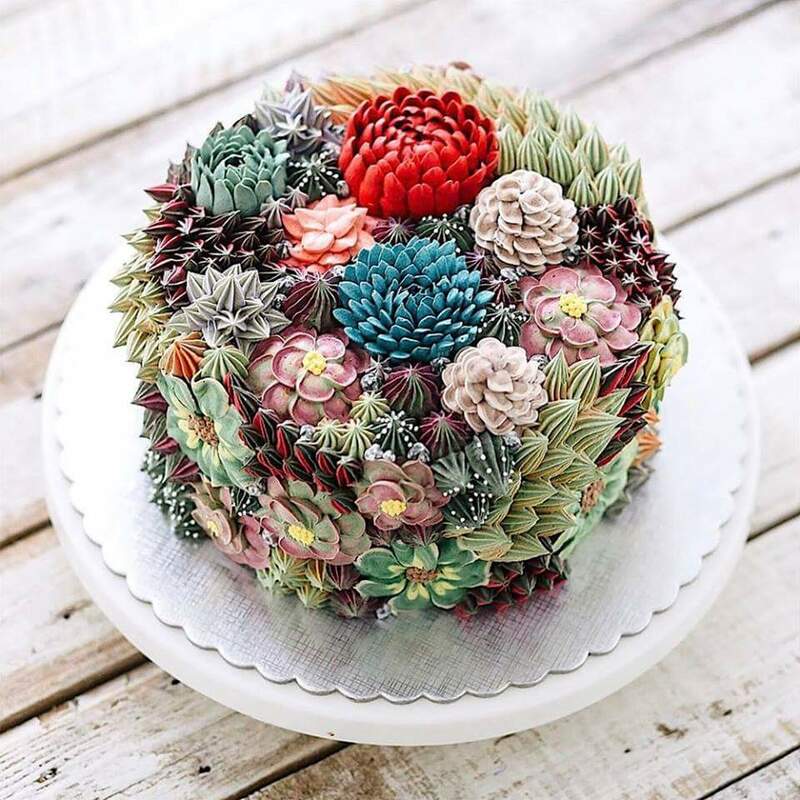 But it is a Flowering Cactus Cake. PRICKLY as it might appear, this dessert from the desert is one your guests will get their hands on in a hurry! Click through for more puns and the whole recipe. In case you were wondering but didn’t want to click through, the spines are licorice. Yum. I think I will do a new feature here on the cactus blog, and I’ll call it weekend blogging because it’s the weekend here on my blog. This feature will feature many different small pictures of things. With Links. It’s a picture of prickly pear pads for a recipe for Huaraches – Stuffed Prickly Pear Cactus Paddles. It features manchego cheese, so you know it has to be good. Are now available throughout the country, or at least at the few restaurants that will be carrying them. This month’s taco is from Michael Kornick…. His Tacos Nopalitos y Pollo is available at Mercadito locations in Miami, New York, and Chicago until November 30. If you can’t get over there in time, don’t worry, here’s the recipe. That is a long list of ingredients. You’ll have to click through for the instructions. What if you wanted a cactus banana smoothie? Who would you turn to for a recipe? Your mother? Your Uncle Saul? Sammie from the corner market? You’d turn to your friendly local google. My friendly local google told me to check out Incredible Smoothies and there we go. It’s not a complicated recipe. The directions are not complicated either. You can click through to read the whole description, but here’s the primary part you were looking for. Add all the ingredients to your blender, (I use a Blendtec) and blend on high for 30 seconds or until the smoothie is creamy. Indeed, that seems easy enough. I wonder how they took care of the spines on the cactus pear? We missed the Santa Cruz Cactus Festival again this year. I’m sure it proved to be delicious. It was last weekend. The Santa Cruz Sentinel hasn’t posted the winners online yet, but they did post this Nopales Salad recipe for us to share with you so you could enjoy it. 1. Slice nopales into thin strips. Saute in olive oil till just browned, but not soft. 2. When cool, toss with other ingredients. Add more lime , if necessary. 3. Serve in a chilled bowl, or iceberg lettuce cups, or on a crisp tortilla. Sprinkle with queso fresco. Earlier today I blogged a link to a cactus recipe. Here’s a delicious looking recipe for grilled cactus that you can now make on your cactus-briquette-fired grille. I thought the photo looked so delicious that I should blog the recipe. Here goes! Cactus paddles (nopales or nopalitos) are an important vegetable in Mexico, particularly in the central and west-central parts of the country. Their flavor—reminiscent of summer’s green beans but with a hint of acidity—adds freshness and succulence to the taquitos. You’ll have to click through for the instructions, but I would highly recommend it. Cactus slaw without cabbage? You do have roast the nopales, so I don’t really know if you could call this a slaw, plus they don’t have a dressing. Seems like a simple enough recipe. Click through for the instructions. Chef Michael shows you how. I haven’t tried this recipe, so I don’t know if it’s any good. In fact, I haven’t even watched the video – I hate cooking shows – so I don’t even know anything about anything here, except this is the description that goes along with it, so I figure what the heck – have at it. Chef Michael Flores show how to make his Cactus and Cabbage Salad. Greenwalla recommends you go out and eat some cactus fruit RIGHT NOW! A lot of people have never tried a cactus pear, but it is a delicious fruit! Look for cactus pears that do not have any dark spots on them, you can wash them and keep them in the refrigerator for seven days. The best way to eat them is to dice them up, eat it plain or use it as a topping for a salad, cereal or soy yogurt. They can be tricky to prepare, here is a short video on how to peal one. See, they think it’s delicious too. It’s not just me. They’re also called Tunas. [Pedanticism warning:] Bells peal, fruit peels. The Mayan Cafe in Louisville makes a very attractive and delicious looking cactus salad. It’s not currently on the menu, but maybe they’ll bring it back for spring. Besides a bit of grilled cactus, I see arugula and tomato and cheese, all tossed in a light vinaigrette. Am I missing anything in there? Did you watch that? What a ripoff – there’s no cactus in that martini. I don’t know what that crap is. Oh well, drink up and Happy Holidays. I’ve got an Opuntia that is growing too fast, and my husband is worried about our 4 month old baby get stuck with the spines. I said we should wait until the baby can walk before worrying, but my husband thinks we should get rid of the plant entirely right now. What should we do? Unless your husband is propping the baby up against the cactus while he’s off fixing his evening cocktail, you shouldn’t have to worry about the baby getting stuck at this young age. As the baby gets older, I would recommend keeping the prickly pear well trimmed back so that there aren’t any wild spiny pads attracting the attentions of your inevitably wandering toddler. In fact, if you cook the freshly cut pads and feed them to your family, it’s a win-win. I made my prickly pear martini, did you? And if I may say so, its delicious. My own recipe. This is the first recipe I have ever posted that I came up with myself. Usually, I forget to write these things down, and then forget what I did. As this is a martini, you should probably mix it in a shaker with ice and serve it straight up. Interesting look at the Pitaya market and new varieties being developed to be tastier and use even less water. These are from the night-blooming Hylocereus from Central America, although the Pitaya name can also be applied to many different cactus fruit. 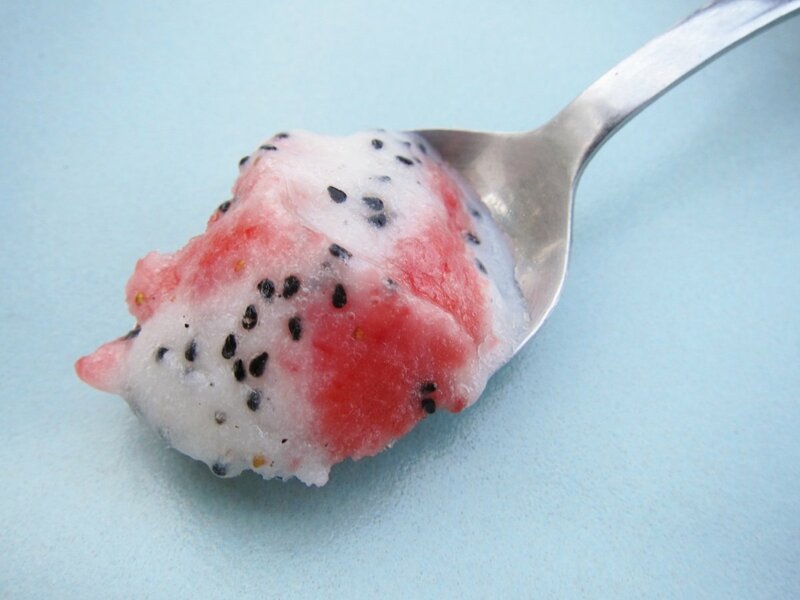 The more common name around here is Dragon Fruit. The most interesting part is the difficulties with pollinating a night-blooming plant when it’s been taken out of it’s native habitat, away from it’s night-pollinator. Maybe I should add a margarita recipe to this post. What do you think? You should click through for the instructions, but the instructions are really just to pour it all together and stir. Easy enough. From Alex’s Cocktails in the UK. Dinner is for cactus. (And duck, too, obviously). Oh my god this sounds good. If anyone wants to make this for me, I pay in rebutia. Don’t forget to click through for the instructions. No pictures, though. Video would be helpful too, considering what you have to do to the duck.